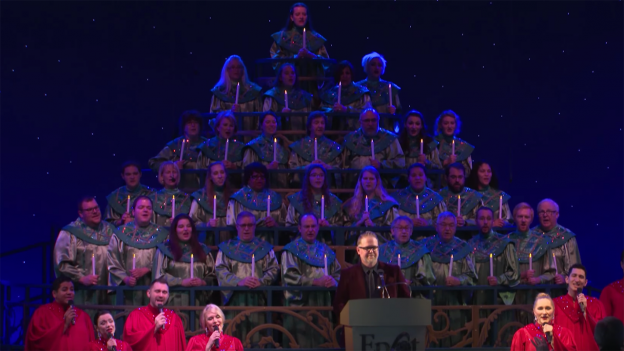 Coming off yet another Grammy© nomination this week, Bart Milliard, lead singer of the Contemporary Christian group MercyMe, also made his debut as a celebrity narrator at this year’s Candlelight Processional, part of the Epcot International Festival of the Holidays. 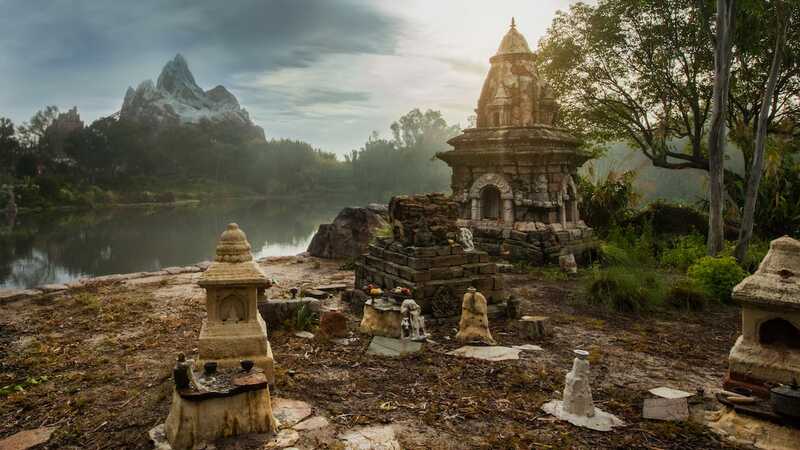 Millard, who has spent part of his life in Central Florida, is a huge fan of Walt Disney World and Epcot, but had never visited during the holidays. We caught up with him before a performance and asked him about his experience this year as narrator, exciting times for MercyMe and his personal family holiday traditions. At the Candlelight Processional, the story of Christmas is powerfully told by a celebrity narrator accompanied by a full choir and a 50-piece orchestra in a performance that inspires joy and holiday spirit. New narrators this year include the voice of Moana, Auli’i Cravalho and Joey Fatone. Returning favorites include Pat Sajak, Cal Ripken Jr. and voice of Ariel, Jodi Benson. Guests can add more magic to their holiday celebrations with a delicious breakfast, lunch or dinner followed by reserved seating at a performance of the Candlelight Processional. Dining options include some of the tastiest restaurants in Epcot and the adjacent Disney’s BoardWalk Resort and Disney’s Yacht and Beach Club Resorts. Limited dates for the Candlelight Dining Packages are still available; please visit www.Epcotholidays.com for more information or call (407) WDW-DINE.